Acer Revo 3610, Ubuntu 9.10 and XBMC ! For my 37th anniversary (sic) my dear honey wife offers me a brand new ACER REVO 3610 with an Atom N330 with 2GB RAM and 320GB HD, running the full featured and beautifull new Windows 7 from our friends from Redmond Firm. Totaly excited, the Geek in me connect the « box » to its TV and VGA flat screen and start playing with the small « beast ». Playing HD video on a 40″Samsung LCD is incredible fluid and smooth ! Microsoft HD player work very weel. But but but, Windows 7 wifi Atheros drivers are not so powerfull and, due to low power of my Wifi Box, and due to long distance between it a the Revo, only (40% of power) prevent Wifi from well working 😦 and can’t connect without a « low connectivity » status. Where is my Ubuntu USB key ? Starting my Live Ubuntu 9.10 on the Revo and… WHAT ? all is working out of the box ! Including the not working Wifi in the Win7 OS (due to long distance between my internet box and the Revo) !! 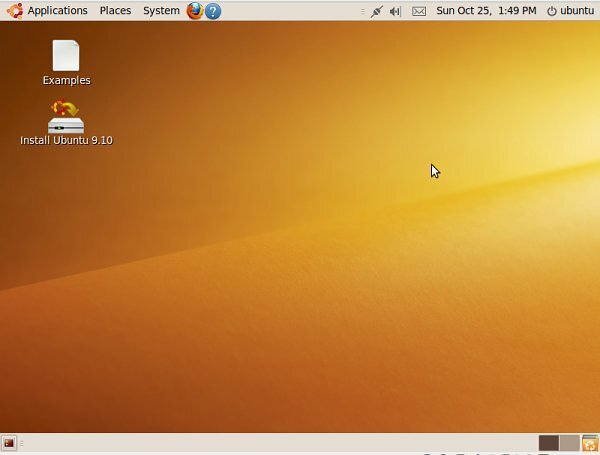 So, only listening to my heart, I decided to install Linux Ubuntu 9.10 in dual boot with Win7 (we never know…). And cliking on the « Install Ubuntu on my Disk » icon onto the Live Desktop, I started the Quick Install process. Freezing and blinking on the « old text mode » console, asking for user to logon. but no keyboard and no mouse ! One is about HDMI Audio, about using the console version of the alsamixer to get it work by « un-muting » the « IEC958 1 » output canal. Without this activation, my Revo was mute ! The second was in comments of this post, discribing the exact symptoms of my problem with the blinking screen: Don’t install from the Live desktop, but directly from the USB key initial menu, (second obtion in the displayed menu, just after selecting the prefered language). So, I just have to restart the Ubuntu install process and it will work ? So after 2 tries, the good way consists in creating an USB key without persistance, and on menu of Usb live key, select direct « installation » (second item in the menu). After first boot on the brand new install, install the last version of the NVIDIA driver and all work well, even the HD Video reading ! How to format length lines of a file ?